Here is my guide to your Christmas chocolate shopping. It’s the first day of advent and the season to be jolly kicks off. It is also, depending on your organisational skills, the season to be downright stressed. Christmas shopping is not always the easiest of (multi)tasks. Take some of the stress out of it by answering your first dilemma – what to buy? – with the answer CHOCOLATE! 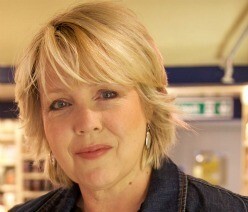 Then take the rest of it away by following my guide on what chocolate to buy. There you are, job done, have a happy advent. 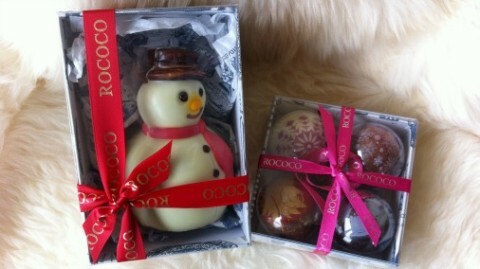 Rococo Chocolates chocolates shapes, cute and beautiful. For festively themed chocolate shapes and stocking fillers, you can’t get more charming than Rococo. Chantal Coady has an unmatched eye for design ideas and painterly detail. The figurines and lollipops are cute and nostalgic, the coloured baubles are simply gorgeous. And everything is delicious! 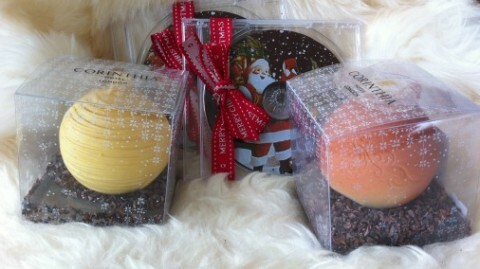 Chocolate CDs and baubles by Sarah Barber at Corinthia London. Pastry genius Sarah Barber has brilliant things for sale at the shop of Corinthia London, where she is Executive Pastry Chef. These baubles are stunningly crafted, and the chocolate CDs are the perfect stocking filler or nephew present. 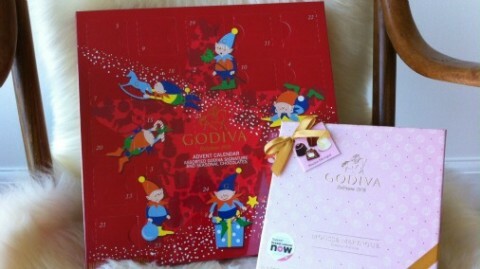 Godiva advent calendar in festive red. I have an absolute passion for advent calendars. My house is adorned in them, the more the merrier. I like the red graphic with playful elves on this number from Godiva. It is loaded with filled chocolates and festive shapes from the upmarket high street chocolate company. Hotel Chocolat Rabot wreath, a high street winner. On the high street proper, Hotel Chocolat always go all out for themed celebrations. Their Rabot range contains many things worth trying that stand head and shoulders above most chocolate that is as widely available. This Rabot nut and fruit studded wreath is a worthy table centrepiece. And their bars and coated nibs and beans make a great teacher present or stocking filler for the chocolate lover with an interest in cocoa origins and less of a sweet tooth. Chococo chocolates putting the fun into festive. 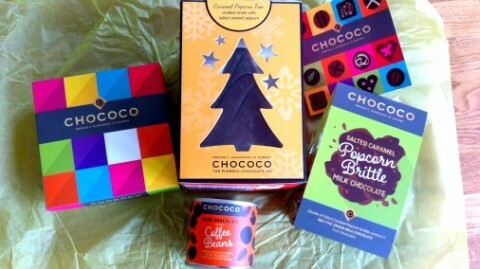 There is no chocolate gift eventuality that Chococo do not have covered! Their trees are stunning and combine serious chocolate with absolute fun. The range of different chocolate-covered treats was already large and tempting. I’m particularly excited about the new coffee beans this year. The Chococo fresh chocolates selection. 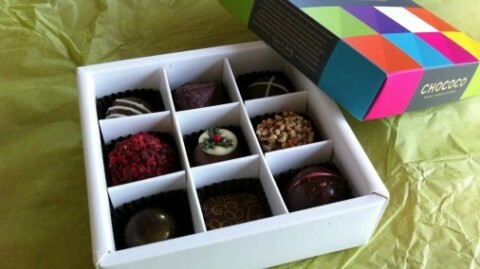 And of course, Chococo do fine fresh chocolates in their lovely coloured boxes. Of the festive flavours this year the dark chocolate cherry stands out, an absolutely winning take on an old classic. 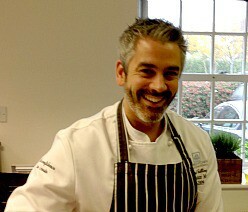 I also loved the Prune and Armagnac and the Christmas Pudding Truffle. Chococo get these festive flavours bang on, it isn’t for nothing that my personal choice of chocolate advent calendar is from Chococo. A little treat every day! Go French and classical with La Maison du Chocolat. Smart, classical, French, and unfailingly fine quality. 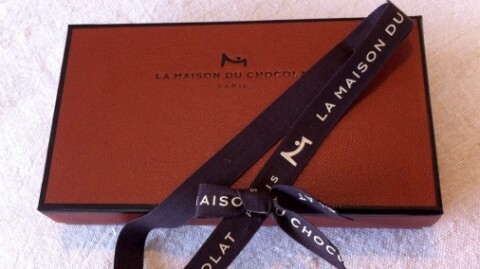 You cannot go wrong with a box from La Maison du Chocolat. And each year Nicolas Cloiseau’s genius is brought to bear on a new Christmas selection. This year I loved Cinnamon & Fig, the spice infused dark ganache a natural partner to the fruit – figgy pudding grows up! My favourite was the Mendiant Gourmand, in which toasted, caramelised almonds. hazelnuts and pistachios are joined by candied orange. All the nuts are clearly in evidence, with festive fruit and the signature dark toast notes of a La Maison caramel. Fabulous! 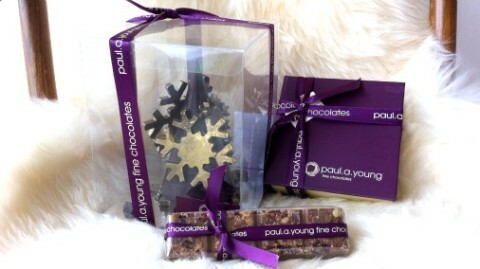 Scrumptiously modern, Christmas at Paul A Young. To Britain, and an iconic brand which is rather more punk in spirit than the French classics. 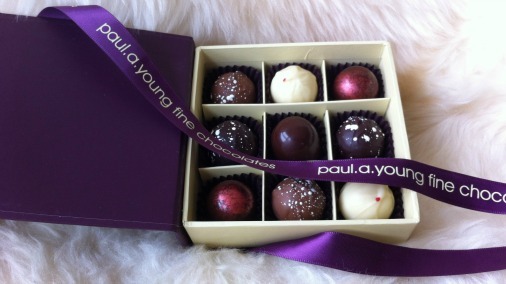 Paul A Young always mixes things up in a way I look forward to seeing, and even more so to tasting. In store there are stocking filler shapes and bars, some like this Cinnamon & Cranberry Crumble bar are seasonal newbies. The centrepiece gold snowflake tree is a stunner, and would make a fine gift for someone who prefers straight chocolate (in this case 70% dark) to bonbons. But all the new seasonal truffles I have tried are also winners. Nutmeg & Honey is an ultra-smooth milk chocolate ganache with that deeply comforting British-favourite spice paired with the sweet warmth of honey. Gourmet comfort good. Both Glen Moray Cream Caramel and Kirsch Cherry Caramel make fine use of Paul’s rightfully famous deeply flavoured fluid caramel. 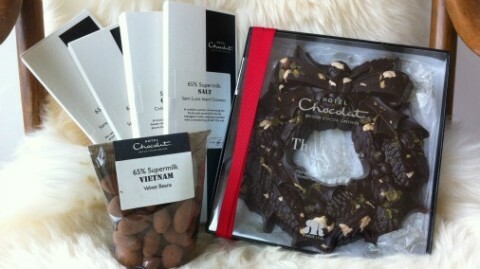 Adding booze and the association with other familiar seasonal chocolates adds to the enjoyment at this time of year. Give me a box of either and an armchair and call me very happy indeed! 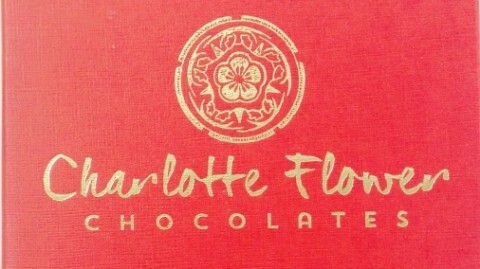 Festive colour and flavours at Charlotte Flower Chocolates. Staying British but moving on to the less well known, I found some great new people to bring to your attention this year. 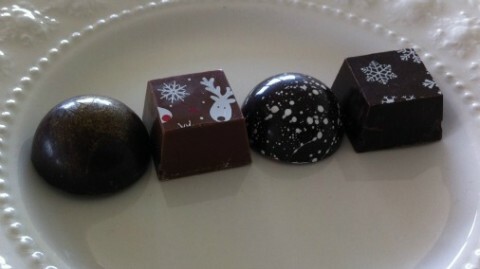 Charlotte Flower Chocolates have made a 12 days of Christmas selection, of which my favourite was 9 Ladies Dancing, a juniper infused treat. I’m loving the Rudolf decoration from Chocolate by Miss Witt. Kerry Witt, who works out of the New Forest and collaborates with both Hildon Water and her workshop mates at Naked Jam, has put together some very tasty flavours. 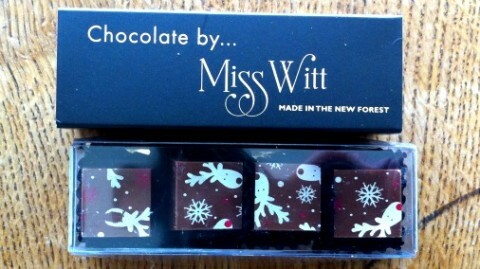 Chocolate By Miss Witt selection. Rudolf is a crowd pleasing whisky and white chocolate ganache. My favourite of the group is The Larid (farthest left) which combines marmalade from Naked Jam with an 85% Ecuadorian chocolate, a touch of whisky and a 70% Madagascan shell. There is smoke, fruit and warmth in perfect Christmas harmony. I loved this! A particular genius with whiskey Matthieu de Gottal. Matthieu de Gottal is real find. Working with the finest couverture (from Akesson’s no less for his Christmas collection) he has a true passion for whisky. 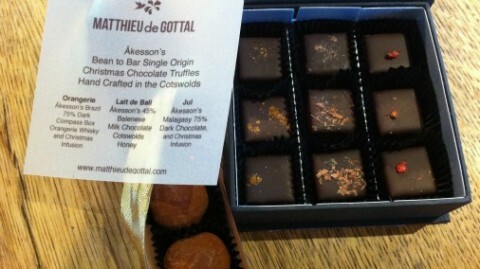 The real understanding of both chocolate and booze combine in his fresh ganaches and truffles to blissful effect. The selection box shows his fine palate by taking this a step further with Christmas spice infusions and fine Cotswolds honey. All are well worth savouring, but my favourite is the Christmas truffle – the clean pairing of fine 70% dark chocolate shell and 50% Madagascan milk chocolate ganache, with Glenfarclas 105 Speyside single malt scotch whisky. Nobody does it better. 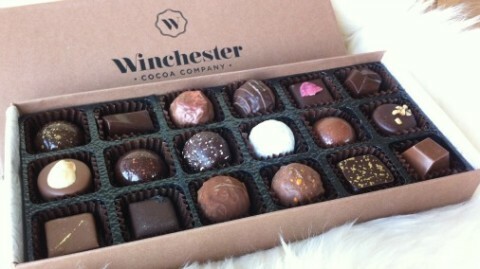 Christmas truffles get a makeover from Winchester Cocoa Company. I have been very excited this year by discovering and tasting things from the great new talent that is Chris Attewell of Winchester Cocoa Company. His festive truffle menu – the six beauties nestled amongst other creations in his selection box above, have far from disappointed. When he tackles a classic, such as in the Marc de Champagne Truffle, it delivers as it should, it even looks the part with its icing sugar dusting. But it is better than any I have had before, not too sweet, the dark shell is a very good call, and with a noticeably fine quality Marc at its core. New creations are even more thrilling, the Caramelised Fig & Rum beautifully marries a layer of caramel-rich fig puree with warm rum-spiked milk chocolate ganache. Very fine indeed. Mr M Porter’s Caramel adds the warmth and lovely malted flavour of the porter beer to a very well made caramel. And I have to mention the Christmas Pudding truffle, which has all the fruit, spice, depth and warmth you could want. Exemplary! 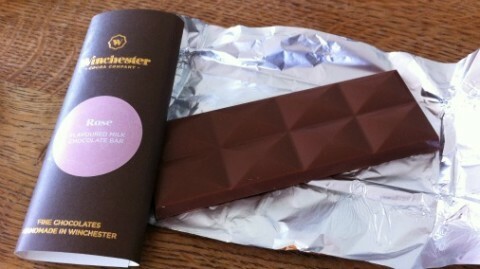 Flavoured bars, an alternative gift option from Winchester Cocoa Company. For stocking fillers, or family you can’t risk buying fresh ganaches for as you won’t see them for a couple of weeks, bars are a fine idea. With a longer shelf life, but still with all the creative energy and fine chocolate behind them, many chocolatiers make wonderful flavoured bars at this time of year too. Winchester Cocoa Company has a good range, with Pecan & Maple Syrup Toffee my particular favourite. 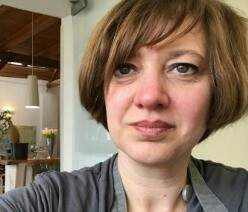 One of the new bean-to-bar kids on the block, Dormouse Chocolates. And if you are thinking bars, why not support one of a growing band of excellent bean-to-bar chocolate makers we now have in the UK. Duffy Sheardown and Pump Street bakery are always worth my money. A new find is Manchester’s first bean-to-bar maker, Dormouse Chocolates. 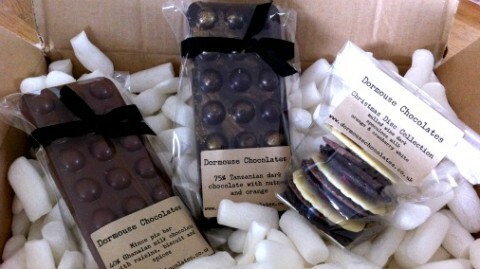 Dormouse have great flavoured bars and fine chocolate disks. The Orange & Nutmeg dark chocolate and Mince Pie milk chocolate bars both hit the festive nail on the head. Of the disks, I fell for the Speculoos milk, fine chocolate with all the can’t-stop-munching factor of a pack of those divine caramel biscuits. Yum!